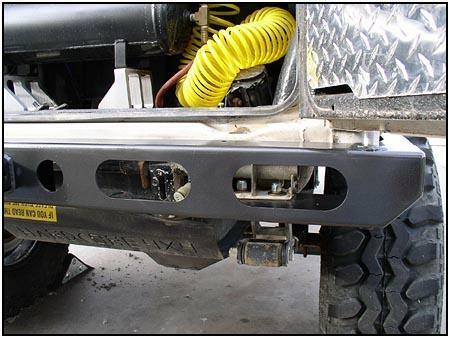 The guys at Shrockworks have created a rear bumper that matches their front winch bumper in style as well as function. With six mounting points and wrap-around rock sliders, it is as strong as it looks too. It is available in bare steel or powder coated. 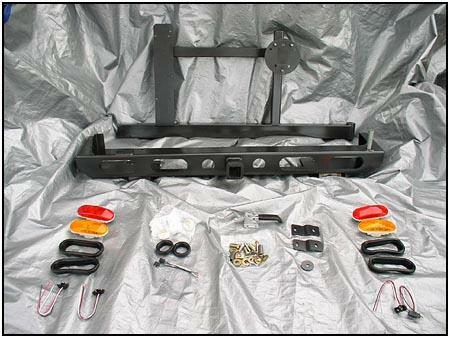 Our installation will include the optional Swing-Away Tire Carrier with Multi-Mount. 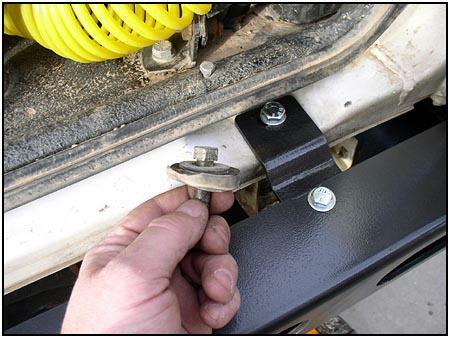 This keeps a heavier spare tire off of the tailgate and allows you to mount a High-Lift jack or a gas can. The cost at Shrockworks to get the whole thing powdercoated (at the time of publication) was only $80. I priced powdercoating locally for the same components and was quoted $220. Be smart, get it done by the manufacturer (Shrockworks). The stock rear bumper and trailer hitch hoop must come off. Then the license plate mount and lighting brackets must be trimmed away. 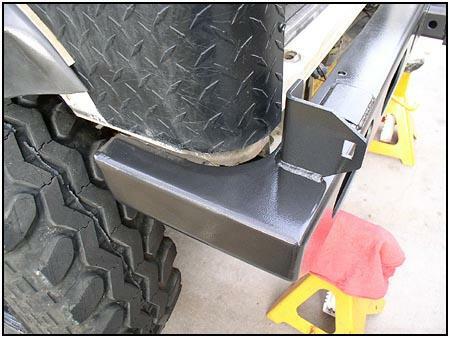 The new bumper is equipped with a 2" receiver mount that will need that space. 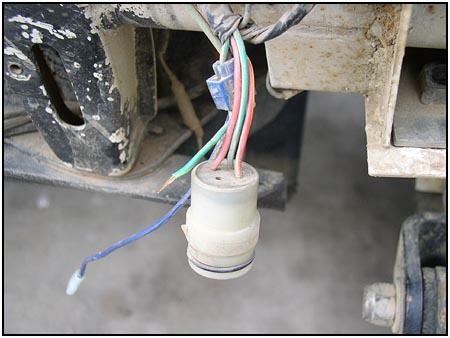 Be careful when disconnecting the wiring. You can use the plug on the 'light' side later when you put everything back together. When preparing to bolt up the new bumper, you can see how the bolt holes line up. You will also notice the attention to detail that Shrockworks paid to how the curves match the Samurai body. This thing fits like a glove. 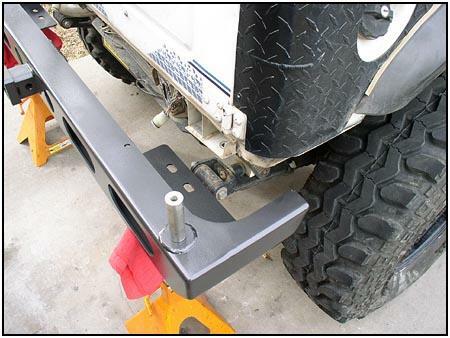 This bumper is not a lightweight, so make sure you have help holding it in place as you install the four lower bolts. There is plenty of room to get to the bolts through the holes for the lights. 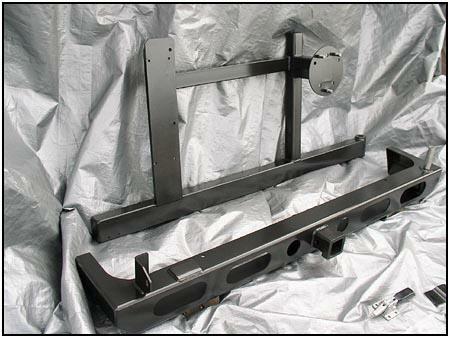 The upper mounting brackets make use of the rear body mounts. 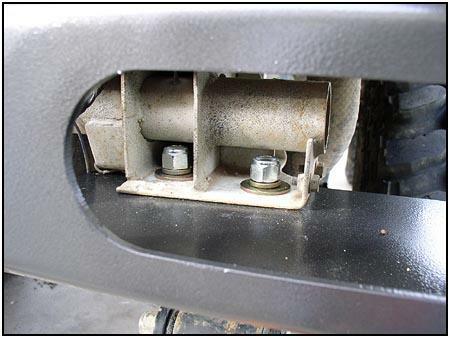 The bolt is replaced with a longer bolt, and the rubber body bushing is discarded. 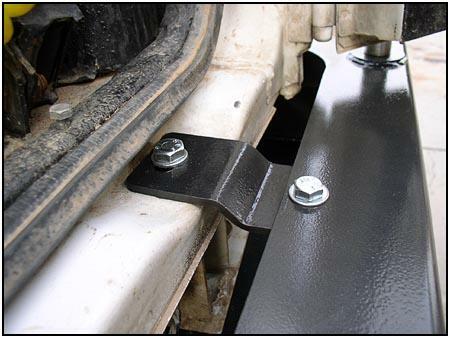 This brings the number of mounting bolts up to six and therefore makes a much more solid bumper.